1. World Series of Poker 2011 Dates Revealed. Earlier today, WSOP staff revealed the dates for the 2011 World Series of Poker. Individual tournaments, dates, etc. will be revealed in January. 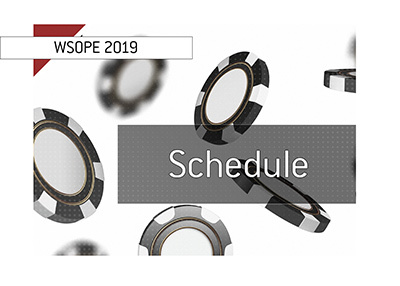 The 42nd annual World Series of Poker is set to get underway on Tuesday, May 31st, and will run every day until Tuesday, July 19th. The press release from the World Series of Poker didn't mention anything about the "November Nine", but I'm assuming that the multi-month pause in the WSOP final table is set to make its return in 2011. We'll know for sure in January. The main event is slated to get underway on Thursday, July 7th. According to the press release, there will once again be four starting days this year. 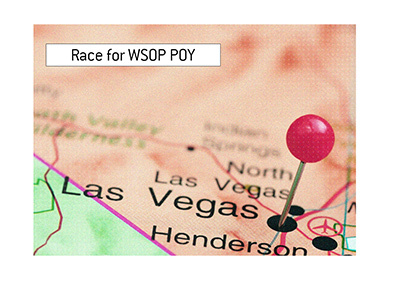 The WSOP will once again be held in the Convention Center of the Rio All-Suite Hotel & Casino. 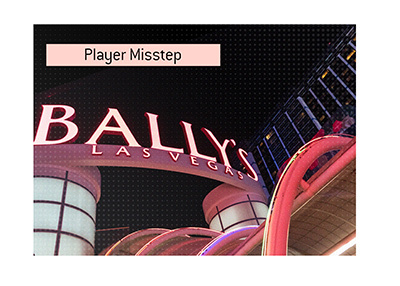 "Hard stop times will become a definitive change in 2011 for all bracelet events.� Players will play a maximum of 10 levels per day.� Once 10 levels have been completed, remaining players will have their chips bagged and tagged and return the next day to continue on in the tournament.� Regardless of how many players remain in a tournament, hard stop times will be enforced after 10 levels of play." Here is the full press release from WSOP.com. 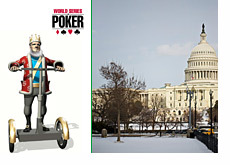 Over the last few weeks, many US poker players have been glued to the proceedings in Washington, wondering if Senate Majority Leader Harry Reid would somehow be able to slip his online poker bill into law. It's not dead, people said, until Congress actually adjourns for the year. Well, on Wednesday evening, the 111th Congress officially came to a close, with the new session set to begin on January 5th, 2011. With the Republicans having a majority in the House of Representatives in the next Congress, online poker legislation will be fighting an uphill battle over the next couple of years.